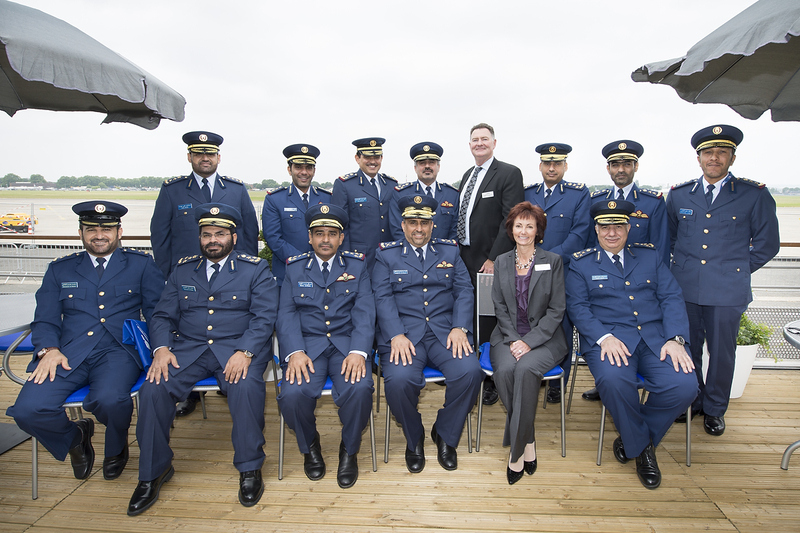 General Ahmed Al-Malki, Deputy Commander, Qatar Emiri Air Force and Chairman of The Airlift Committee (seated center), and the Qatar Armed Forces delegation at the Paris airshow meet with Boeing officials, including Shelley Lavender, President, Boeing Military Aircraft (seated to General Al-Malki's left). LE BOURGET, France, June 15, 2015 – Boeing (NYSE: BA) and the government of Qatar recently signed an agreement for the purchase of four more C-17 Globemaster III airlifters. These aircraft will join the Qatar Armed Forces’ (QAF) existing fleet of four and help meet their ongoing airlift requirements. “We are very pleased with the C-17s from Boeing and look forward to doubling our fleet to enhance worldwide operations,” said General Ahmed Al-Malki, Deputy Commander, Qatar Emiri Air Force and Chairman of The Airlift Committee. Qatar, the first Middle East customer to order C-17s, received two C-17s in 2009 and two additional C-17s in 2012. In operation since 1991, C-17s are unmatched in their ability to transport troops or heavy cargo, to perform airdrop and aeromedical evacuations and to deliver humanitarian aid virtually anywhere in the world.